I know nothing about these craft so I will not attempt any technical description of the seaplanes. All four photographs were taken in the sea between the two piers. 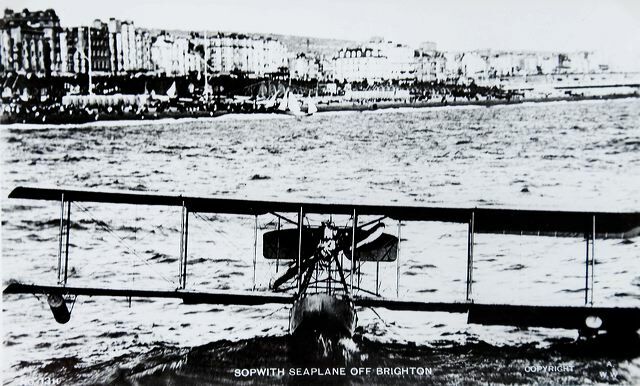 Three are stated to be Sopwith Bat-boats, and the date of the photographs probably 23 August 1913. The exception is said to be a ASL Viking seaplane conversion, (see JG_02_178) and is undated.